Some political parties and right wing groups have been always active in spreading hatred speeches and beliefs grounding religion. Since past couple of months there has been rise in extreme intolerance in the nation due to various social issues such as ban on beef, dadri lynching, ink attack on author Sudheendra Kulkarni etc., which have certainly provoked for the differences among two major communal groups of the nation. 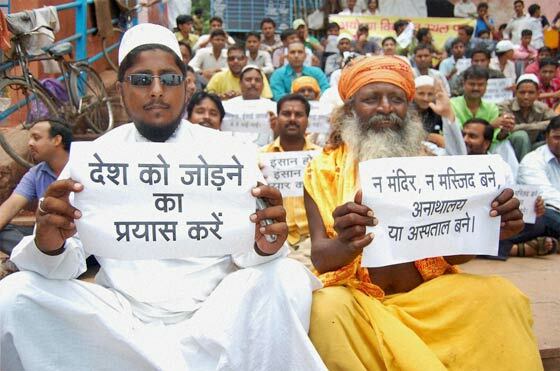 Most of the times in India, there has been upraise of communal violence grounding Muslims or followers of Islam religion by many other communal groups simply following hatred speeches and beliefs provoked by some right wing groups. India’s veteran screenwriter Salim Khan father of Salman Khan said in an interview that India is the best place for Muslims to live in. Mr. Khan said, “There’s no place better than India for any minority – I’d like to ask any Muslim if they’d like to live in Pakistan, Afghanistan, Iran or Iraq? 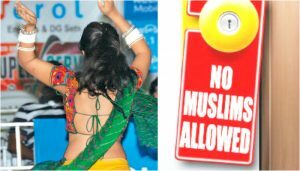 They’d surely answer in the negative.” What makes Khan’s state more effective is that they are one of the iconic family of Bollywood town who celebrate all major Hindu festivals with utmost zest with all dear ones despite being a Muslim. Similarly here some of the other eye-opening enlightening facts of our Muslim bothers which certainly prove that they aren’t as bad they are pictured by the extreme communal groups. 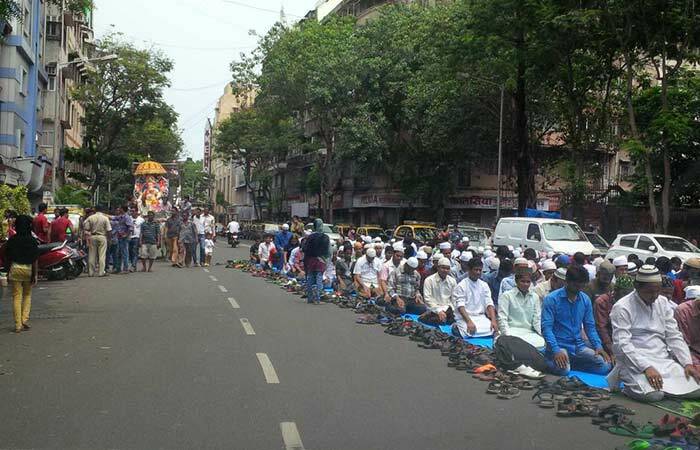 It was an unusual Ganapati procession on Friday a few years back in Mumbai where Hindu’s carried on the Ganpati procession maintained until the Namaaz concluded who initially left the way for the procession. This incident bears to witness to the integrity of the nations and its people. #2. Helped Hindus to Renovate Temple in Kashmir. 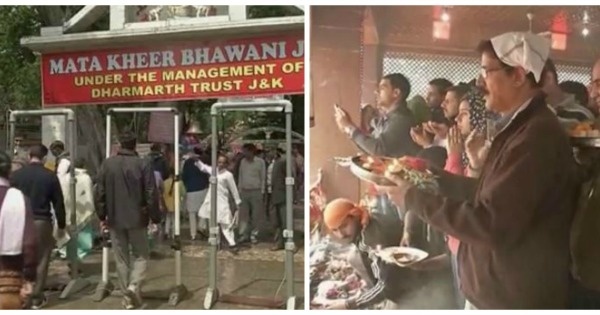 In the year 2009 local Muslims helped Hindus to renovate ‘Bod Mandir’ in Srinagar city which was under the management of Shiv Ji Temple Welfare Committee (STWC). It was said that this temple was burnt and destructed by the militants in early 90s. As per the statements of Mahavir Mandir Trust, Secretary, Acharya Kishore Kunal, at least 36 Muslim families donated their land voluntarily for the construction of the World’s Largest Hindu Temple. Upon being ascertained with the fact the construction of the proposed temple was supposed to be done in their land, these Muslim families stepped forward and contributed their support generously. 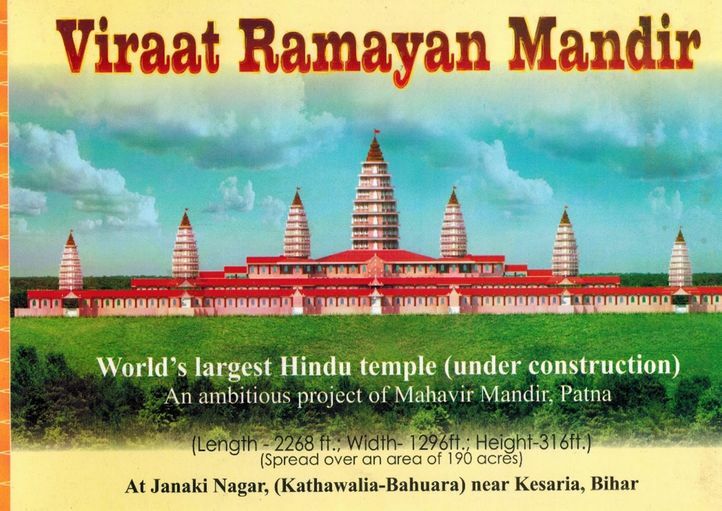 The proposed temple, Virat Ramayan Mandir in Kesaria, Bihar is said to be the double the height of Angkor Wat temple complex in Cambodia. #4. 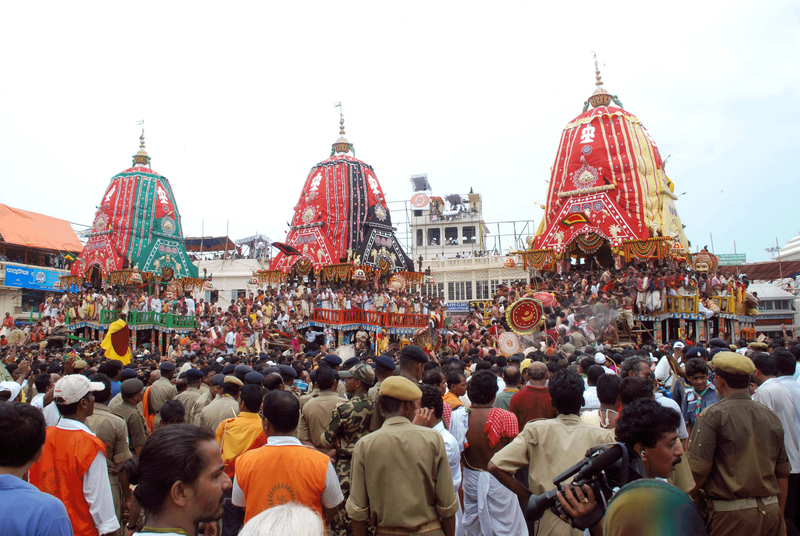 Chariots of Hindu Deities were Pulled During Ratha Yatra Festival by Muslims Along with Hindu devotees. 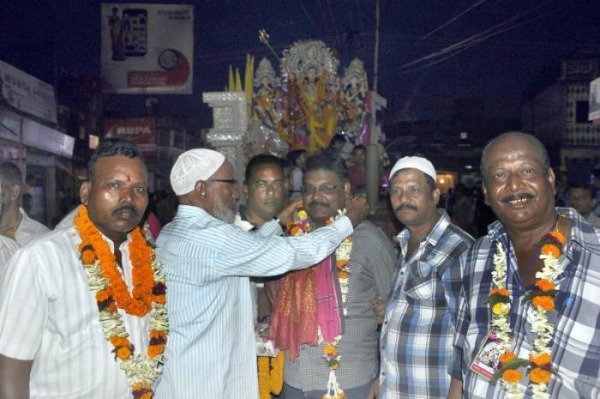 The annual Ratha Yatra festival which is being celebrated with great devotion and joy in the state of Orissa turned up as a remarkable religious ceremony where Muslims in Kendrapara took part along with the Hindu devotees pulling the chariots. Muslims pay homage to the martyr (Hindu soldier) of the battle against a Kozhikode minister Kunhelu who was buried here with his 43 Muslim brothers, long back 290 years ago. Special prayers are being offered at the grave of Kunhelu, who is conceived as the hero till date by the people living over here. The battle is said to have taken place following a dispute over tax collection by Varakkal Para Nambi, who also demolished a mosque (Valiyangadi Jumammasjid) setting it ablaze. 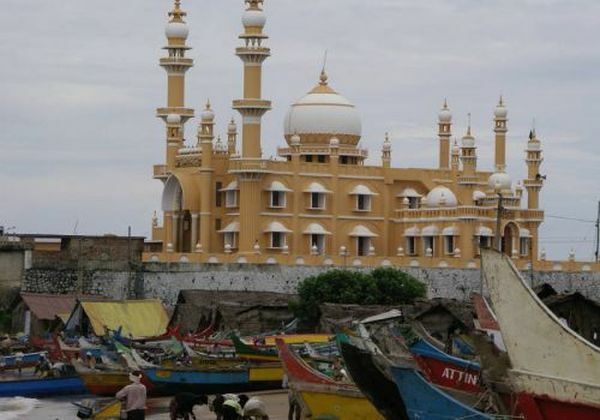 Although later Varakkal Para Nambi rebuilt the destructed the mosque and made it sure that the fled Mulsim families of Malappuram area out of fear returned to the place. Currently, mosque (Valiyangadi Jumammasjid) is a one of the highly visited religious centre manifesting a real example of communal harmony. The 12-year-old school girl, Maryam Siddiqui emerged as the winner of the ‘Gita Champions League’ organised by Iskcon, taking over 3,000 participants effortlessly mesmerizing people across the nation despite hailing from a Muslim family. The victory of young Muslim girl Maryam Siddiqui certainly bruises aside all those hatred speeches of people who claim Bhagavad Gita is only for Hindus. Right wing groups surely need to feel ashamed after being ascertained with the pure and wise heart of this young girl Maryam Siddiqui which proved Humanity comes first then religion. Thousands of devotees take part in the annual Mata Kheer Bhawani fair which takes place in the Ganderbal district of Central Kashmir. Being a Hindu fair and ceremony, a large section of the devotees are Kashmiri Hindus’s while it would be an astonishment that Muslims also take the past equally in the fair making all the necessary arrangements for the devotees. This kind gesture of Muslim families would leave anyone across the nation to feel the brotherly love of fellow people of this society traversing religious sentiments. 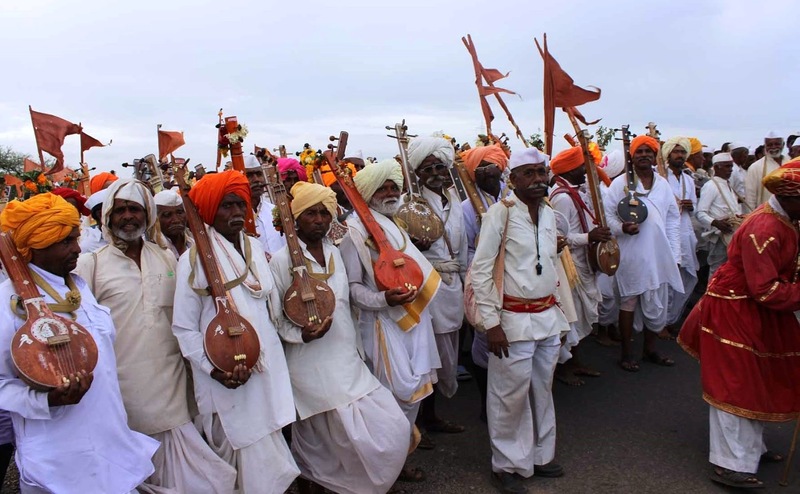 Maharashtra state’s Lonad district people put off their Eid celebrations to Sunday 19th July 2015 from original 18th July to make way for the Hindu tradition of Varkari. Considering the fluxing of animals sacrifices with the Vaishnavi traditions of Varkari, Muslims put over their celebrations to the next day of the Hindu ceremony respecting their beliefs. Remembering the goodwill gesture of the Muslims, local Hindus of Lonad district held a special program honoring them. This might be a strange news for people across the nation that, Sheikh Salim Niyariya aged 50 years has been in charge of Durga Puja since past 23 years. Participation of Sheikh Salim Niyariya exemplifies communal harmony in Handi Chowk area of Raigarh, Chattisgarh which is being managed by “Handi Chowk Durga Committee”. What adds more beauty to this that Sheikh Salim Niyariya has been encouraging many other people to take part in the celebrations installing the Goddess’s idol irrespective of religion. Our efforts were to illustrate some live examples which exemplify how all we should lead a peaceful and happy life in the clasp of mother earth maintaining communal harmony leading towards progress under the same roof, sky. We could not pass on time hating and killing each other bringing disgrace to humanity making out this earth as a deserted graveyard. Share your thoughts with us leaving them behind in the comments section.